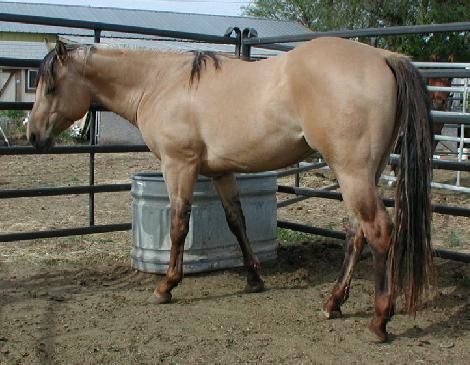 Ransom is a golden palomino with a very light mane and tail. 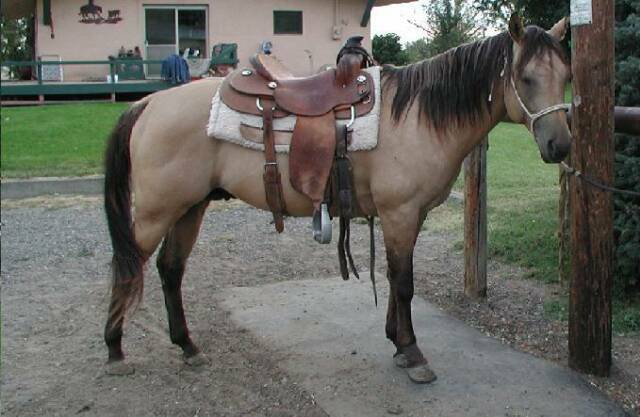 Grulla, loaded with dun factor. 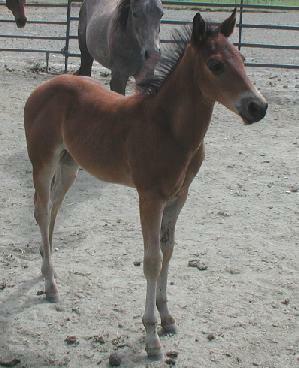 She's show quality, a real pretty filly and is an AQHA Incentive Fund Foal. 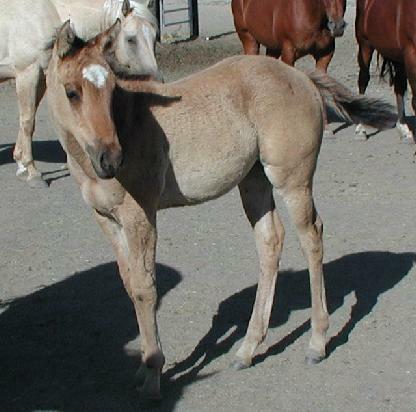 This dun filly has a really cute little head, small ears, no white. She's is just precious. 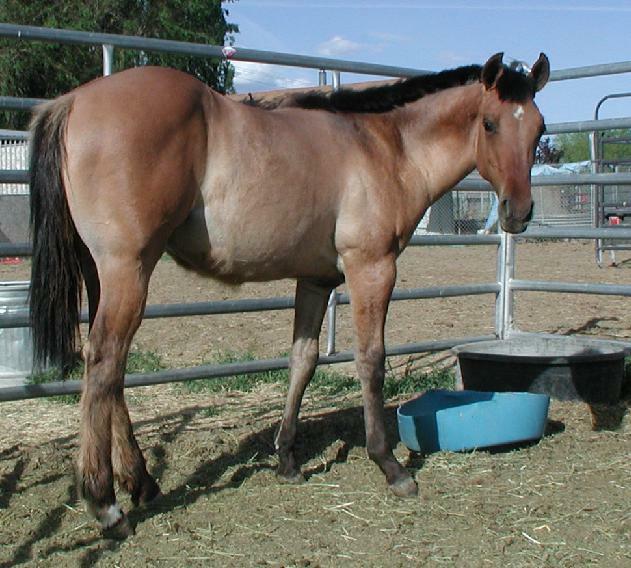 This filly is out of a grulla mare and a dun stallion. She has the dorsal stripe with zebra stripes on her legs. 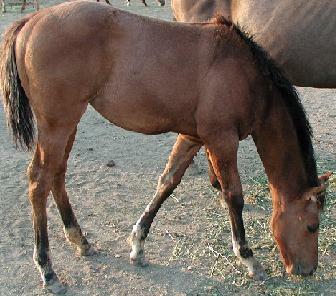 Nice filly, super hind quarters. Should be really quick. 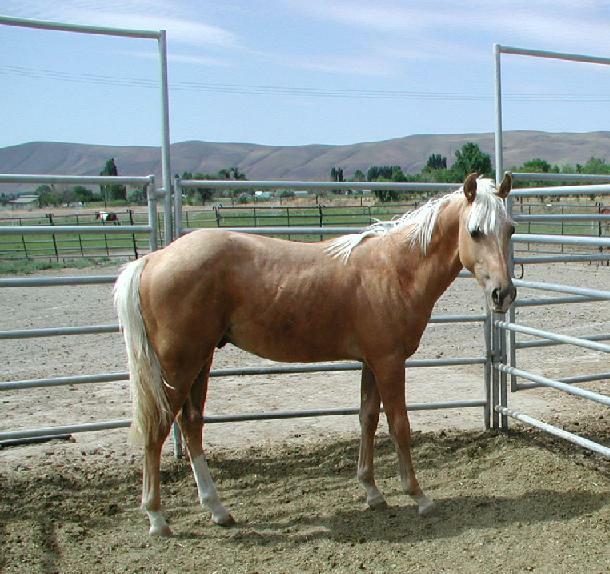 This filly has been sold, but the owner needs to sell her - completely sound. She is so friendly, always around and love attention. She has dorsal stripe with tiger stripes on her leg and star. She is a real sweetheart. 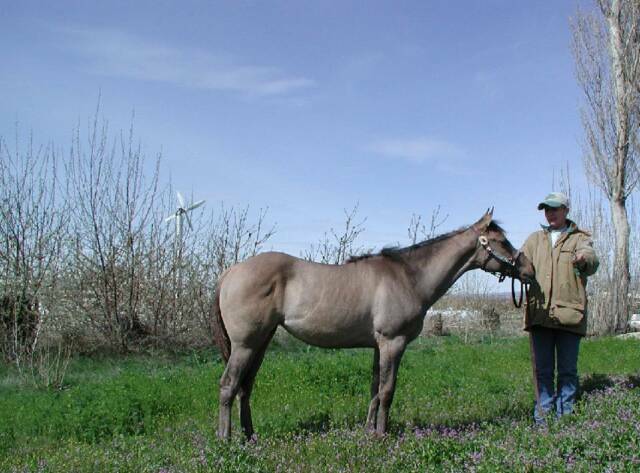 Really well put together bay filly, very correct. Super bloodlines on this girl. 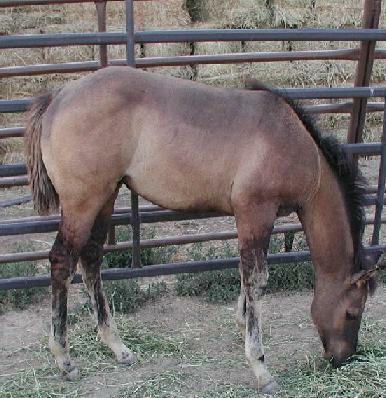 AQHA Incentive Fund Foal. 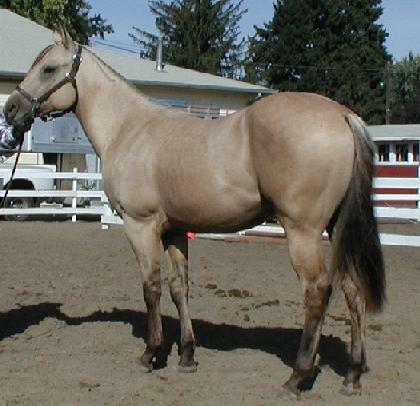 Buttermilk dun, with black mane & tail. 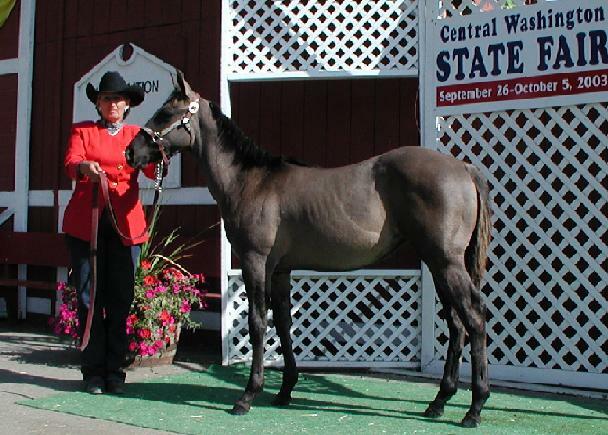 Deuce will be standing to a limited amount of mares for the 2005 breeding season.